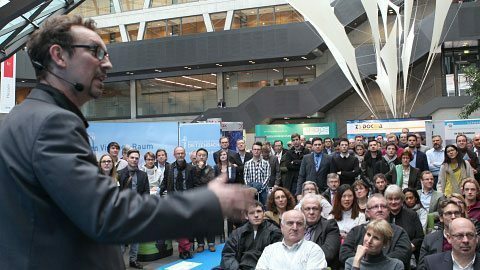 At the Learntec it’s finally time. 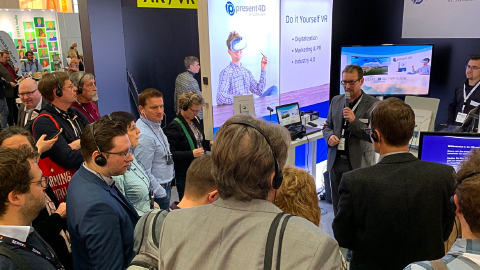 present4D presents the prerelease version of the VR-Suite 2.0 for the first time – and gets an overwhelming response. We look forward to deepening the numerous discussions and turning them into success stories. 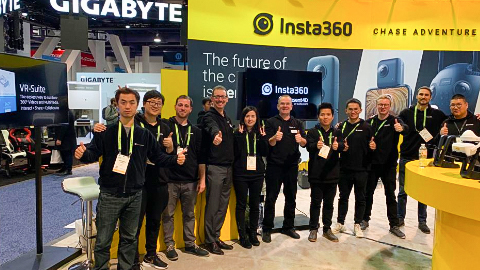 At the CES in Las Vegas present4D shows for the first time a beta version of the final VR-Suite 2.0 – as a guest at the booth of our cooperation partner insta360. It was a great time with you in Vegas and we are looking forward to further cooperation. 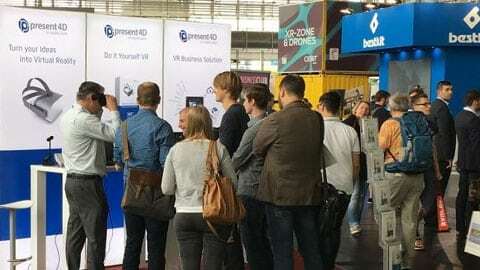 Together with our investor FARO® we present an outlook on our future solutions at INTERGEO. 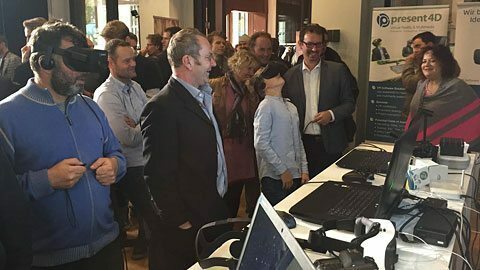 Together with our investor FARO® we present our current version of the VR-Suite at the Autodesk AutoCAD Academy. 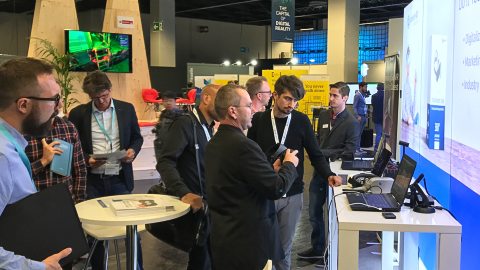 As a highlight we have exhibited a Virtualizer with which customers can walk through a point cloud recorded with a laser scanner from FARO®. 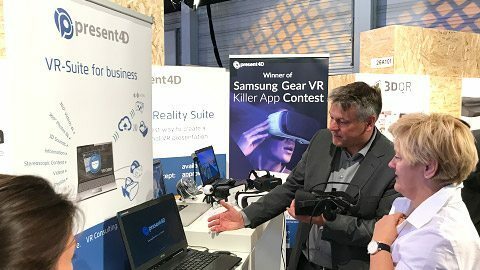 Together with our investor FARO® we present the current version of the VR-Suite at the VR-Expo. A very dense experience. Overwhelming rush. 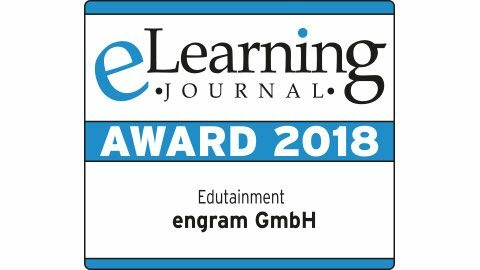 We congratulate our customer engram GmbH on the AWARD of the eLearning Journal. 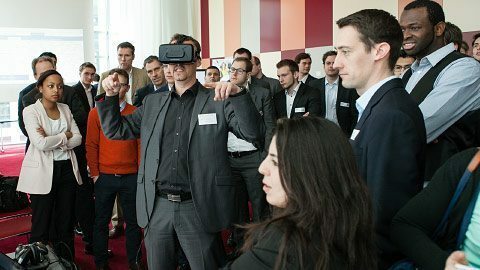 With the VR-Suite, engram has developed the consulting tool “view” for customer advisory services in banks. 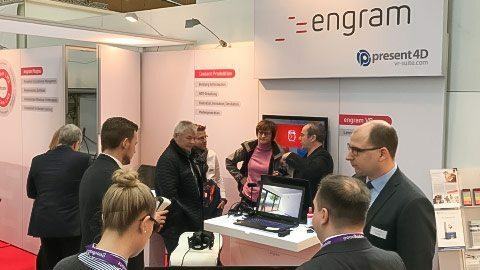 At Learntec we were sub-exhibitor at our customer engram GmbH. 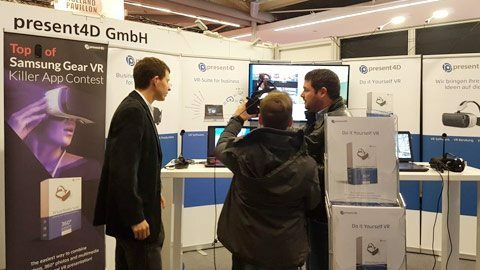 Together we presented the potentials of the VR-Suite. At the BoE, we will once again be presenting the current status of the VR-Suite and offering a preview of new beta functions. 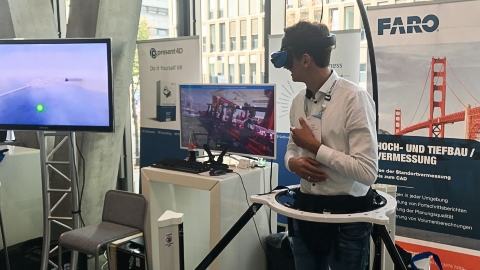 At the FARO Public Safety Conference we presented how the VR-Suite can be used in the public safety area. 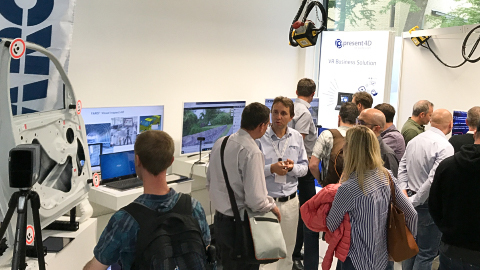 In a beta version we have demonstrated the sensible combination of 360° photos and 3D point clouds. 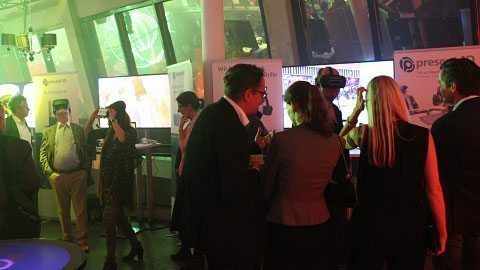 At the event, we presented some of the animago AWARD’s highlights at three VR stations with the VR suite. Stills and videos can be accessed via interactive 360° menus. 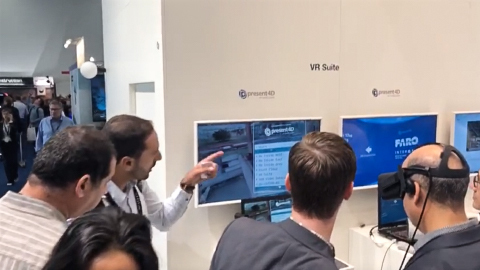 At Digility we have presented functionality of the VR-Suite 2.0 for the first time. 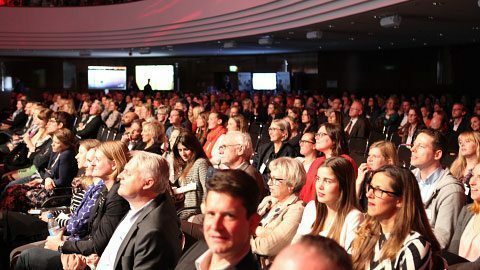 Digitalization and Industry 4.0 are our focused themes. 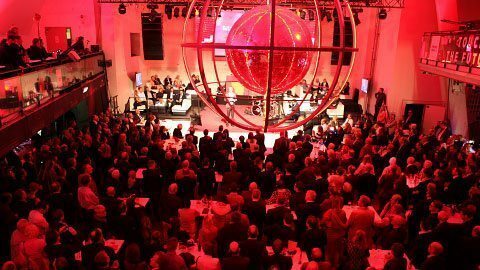 With 2 stage presentations and an exhibition booth, present4D is part of the international CGI congress in Hamburg. 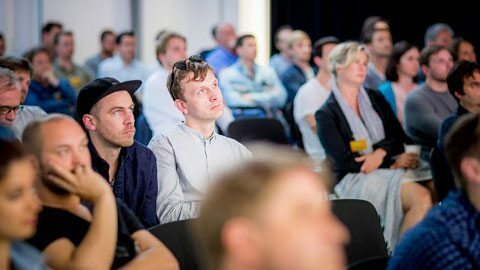 VR Business Club at Microsoft in Cologne with the latest insights of the Microsoft HoloLens team. 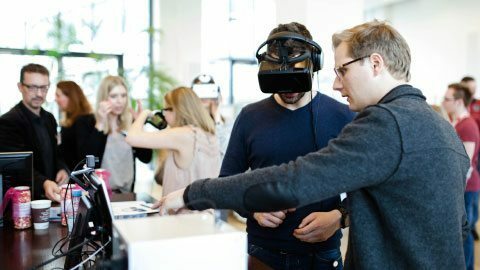 In the talk with the experts, we looked at the question of how companies are given access to immersive technologies, which costs and opportunities arise. 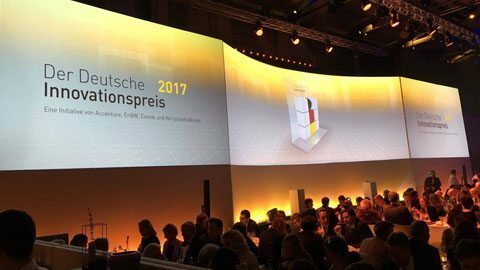 As well as last year, the team of present4D has fascinated the guests with Virtual Reality experiences and contributed to the success of this year’s German Innovation Award 2017 in Munich. 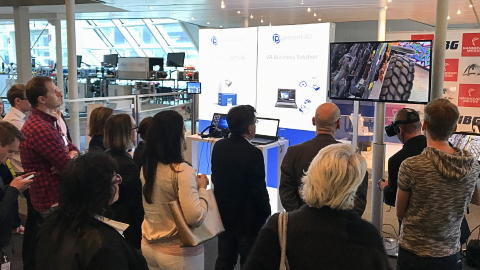 Interesting VR use cases in the B2B context were presented together with a breath-taking virtual walk along a plank between skyscrapers , which was one of the highlights of the after-show-party. 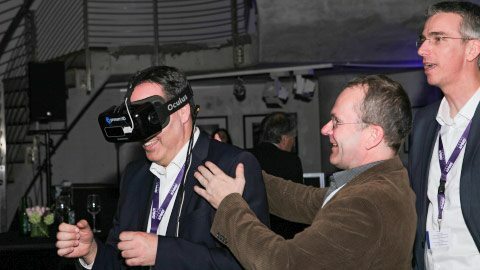 We showed our Virtual Reality Suite again. Our live demo will be accessible soon on the Hackvention web page. 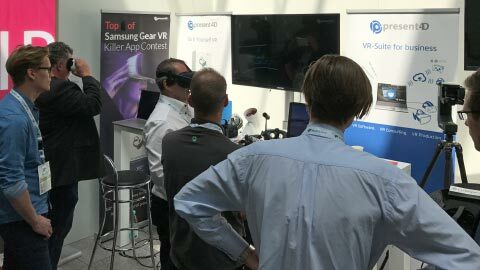 Nice meeting and great clients.During the event, we received the notice that we won the Samsung GearVR Killer App Contest. A very special experience! 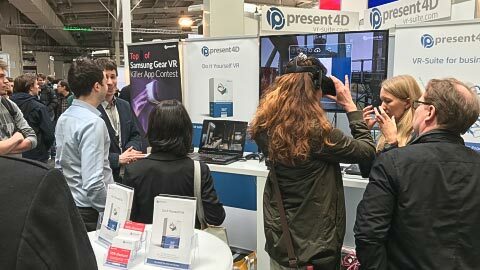 present4D wins the official Samsung GearVR Killer App Contest with the Virtual Reality Suite. An amazing honor for the efforts of the last three years. Special thanks to Daniel Korgel, Angelo Overmeier and our whole grandiose team! 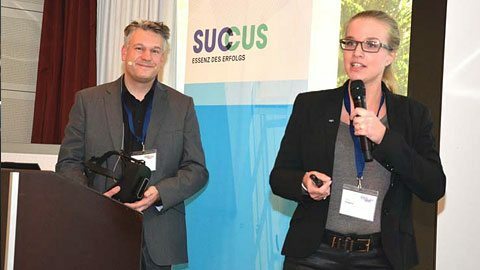 Together with Diana Baganz of Doosan, we introduced our Virtual Reality Suite and reported about practical experiences on trade fairs. A wonderful location. VR is a big family. Excellent environment for a VR gathering. It was fun to be part of it. We happily look forward for joining next year again. 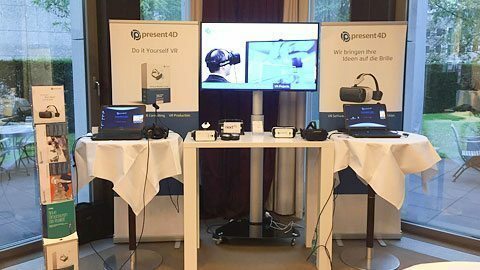 present4D attracts great attention from participants in the VR Lounge with a mix of entertainment and inspiration for business concepts. 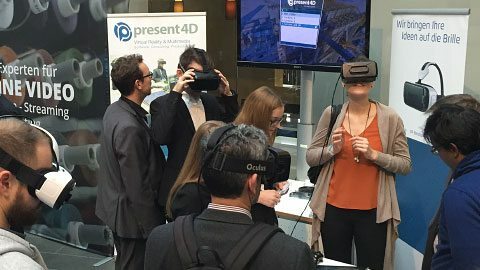 KPMG is focusing on the technical expertise of present4D on VR. The Executive Summary of the study can already be loaded. 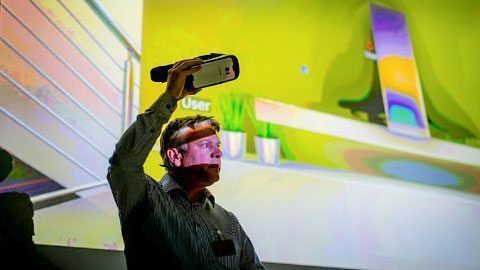 The Virtual / Augmented Reality Assessment objectively assesses the opportunities and possibilities of VR and AR applications for companies from different perspectives. 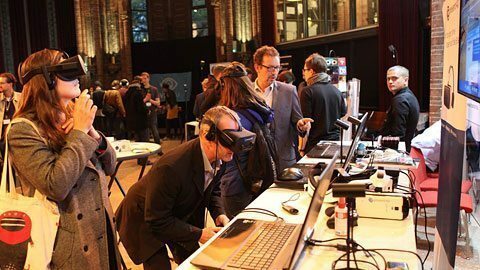 Again, MediaCom took advantage of VR’s expertise from present4D to further explore the topic of Virtual Reality. Following the presentation of the previous year, we were able to not only inform the team, but also bring the added value for the communication closer. 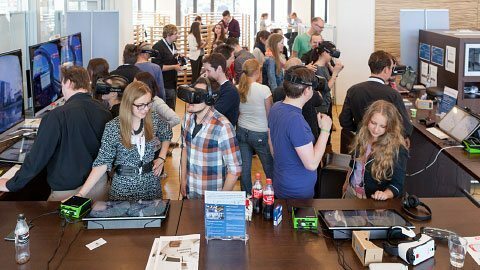 Virtual Reality to touch is presented by present4D at the IT & Media FUTUREcongress. 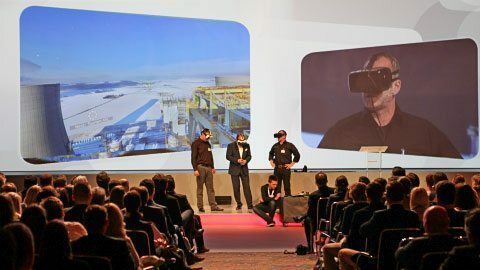 In a keynote with live demo, present4D provides an overview of current developments in the field of Virtual Reality. 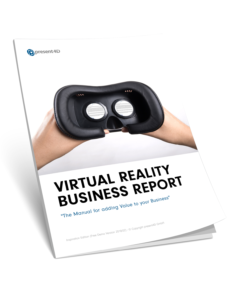 How can Virtual Reality be used successfully in the business? What is the near future of Virtual Reality? What does a company need to do in Virtual Reality? present4D was booked for a Speakerslot at the central event of the TV industry on 16.4.15. 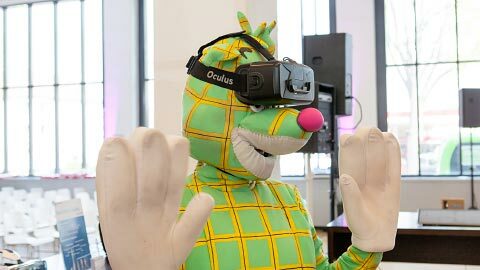 Together with the presenter Wolfram Kons, we presented a VR performance in front of 1,400 spectators. 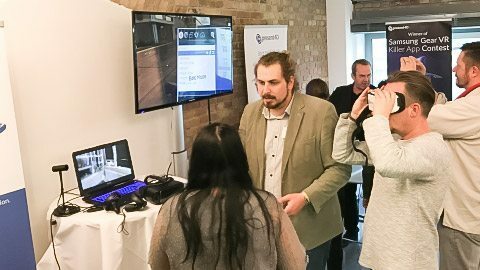 Under the motto “The power of the pictures” we accompanied the event with 5 Oculus Rift, 3 Samsung GearVR and 150 Google Cardboards. Oh, and with 6 VR experts from present4D. 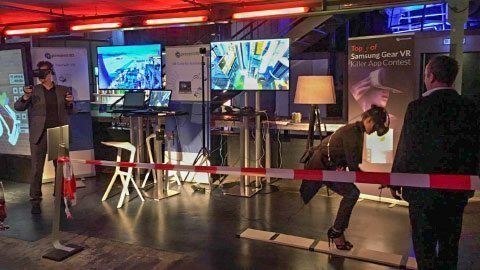 MediaCom uses the VR expertise of present4D to bring its 850 employees to the topic of virtual reality. 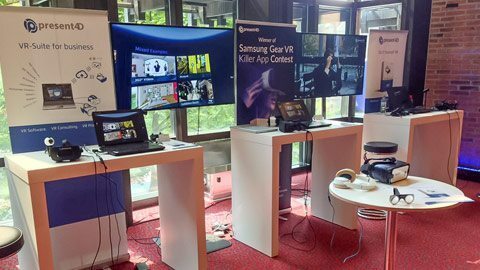 With 5 Oculus Rift, 3 Samsung GearVR, the Zeiss VR One and several cardboards, we were able to inform the team comprehensively. 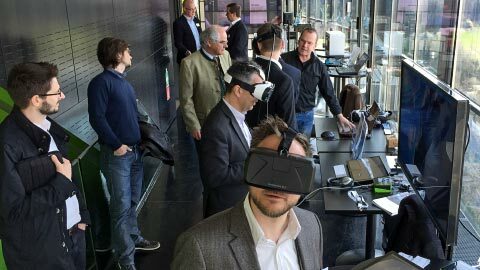 Also in Innsbruck, Trend One is using the expertise of present4D to bring “Virtual Reality” closer to their customers. present4D presents at an internal Accenture digital event. With 3 Oculus Rift, 2 Samsung GearVR’s we have inspired for project ideas in the field of Virtual Reality.